Hi, there! Today I decided to keep my Friday feature short and sweet by introducing you to a favorite blogger of mine. 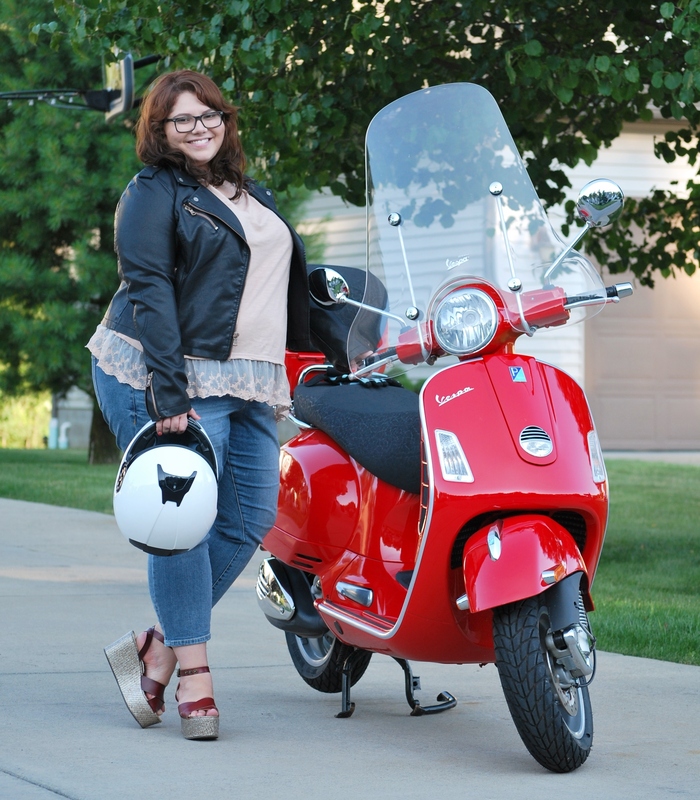 Angela, also known as the Passionista, is an Ohio-based, Vespa-riding fashion student. She showcases cute casual and dressy outfits as well as practical beauty tips–like how does one stylishly deal with “helmet hair.” Her last post even has a cool t-shirt DIY that I’m definitely going to have to try! We’ve become blogging buddies through Instagram, and I’ve had a great time getting to know her and seeing all the wonderful outfits she puts together. You can see all of Angela’s adventures here at The Passionista, and check out my guest post there starting next Monday! thank you so much for the kind words! i’m glad to call you a friend 🙂 you’re the best and can’t wait for monday!